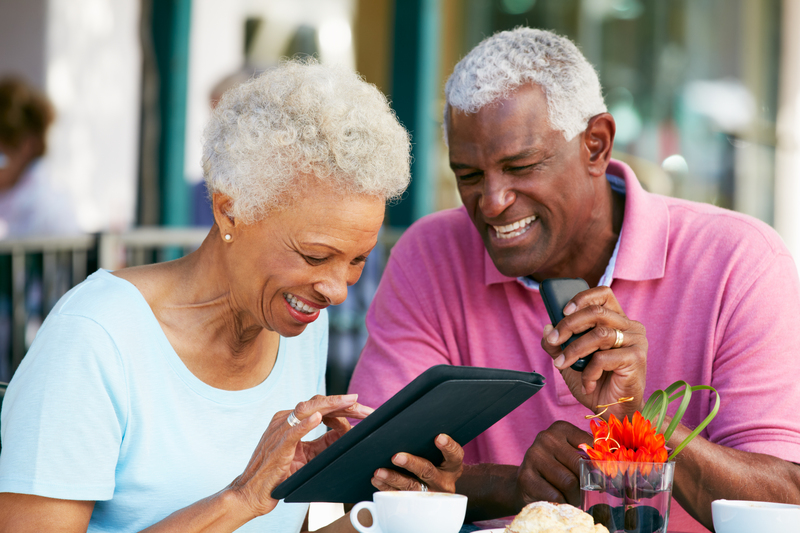 The Benefits Of High-Speed Internet Service For Senior Citizens | Phx. Int. Personal fulfillment. Social connectivity. Functional capability. Health preservation. These four factors are among the biggest concerns of both senior citizens and their caregivers across the country each day. According to Caregiver.org, there were approximately 8.3 people in the United States receiving support targeting these core goals at senior living centers, nursing homes and similar types of facilities as of 2015. But those four issues also have something else in common, too – they’re all tied directly into the major benefits that high-speed Internet for senior citizens brings to the table. Indeed, we’ve entered into an era where fast Internet is no longer a recommended part of our lives but a requirement – especially for older adults – in a wide range of different ways that are more than worth exploring. 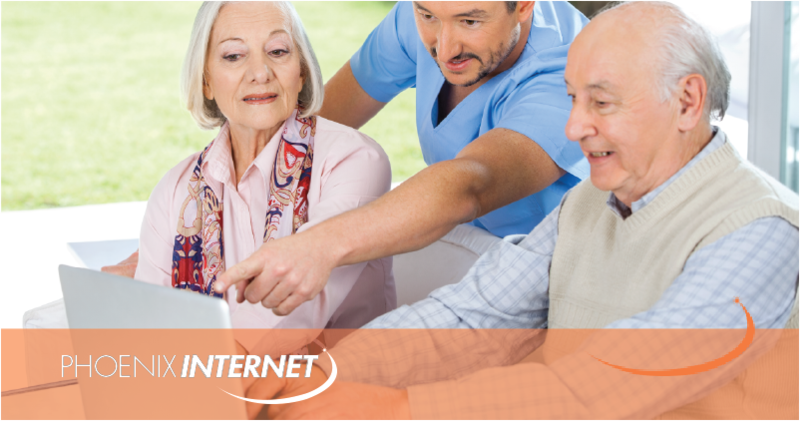 Easy internet access for seniors is crucial for the quality of life senior citizens can have. According to a study published by the AARP Public Policy Institute, recent surveys show that many older Americans still do not have access to a high-speed Internet connection – either at home or at the senior living facility or another type of long-term care center that they may be living in. This is a problem in large part because Internet access can generally help improve their lives in a number of unique ways. 75% of respondents said that Internet access made it easier for them to connect and communicate with their family, their friends and other loved ones. 58% of respondents said that they used the Internet to shop for essential products or services. 53% of respondents said they used the Internet to get critical information about health care or other medical issues that they were experiencing. 40% said that they used it to keep up with the news in their community and stay active in the world around them. All of these areas (with the possible exception of looking for bargains on products) are critical to the continued health and well-being of the elder Americans living around the country. Internet service for senior citizens is making it possible for a generation of people to stay connected with their friends and family members – something that researchers at UC Berkeley long ago proved brings with it significant mental and physical health benefits. Seniors are using the internet to interact with their healthcare professionals in a more meaningful way, getting better information faster using techniques that improve the quality of care across the board. They’re more informed than the generations of seniors that came before them AND they feel more connected to the world around them. 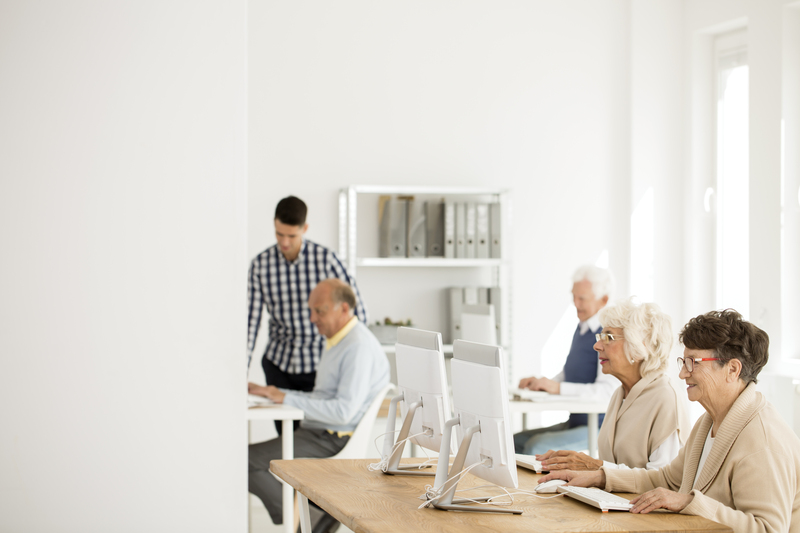 For these reasons alone, high-speed Internet access for seniors doesn’t just matter – it’s one of the most important tools that they currently have available to them. Seniors use the Internet in a wide range of different ways, but almost none of them have to do with leisurely activities. Instead, they’re using high-speed Internet access to communicate with loved ones, interact with their care professionals and stay connected to the world around them. This leads to gains in a number of critical areas including health preservation, personal fulfillment and much, much more. Since 1997, Phoenix Internet has been proud to offer high-speed Internet access to businesses, senior living facilities, and other areas where the strength of a lightning-fast connection matters most of all. Using state-of-the-art technology that guarantees a 99.999% uptime and backed by an industry-leading Service Level Agreement, we’re honored for the opportunity to act as the technology partner you need when you need it the most. To find out more information about the major benefits of quality Internet service for seniors, or to get other answers to all of your important questions about high-speed internet in Phoenix, please don’t delay – contact Phoenix Internet today.